On Thursday night, we hosted Beyond Appetizers for all of the Beyond Escape 2016 attendees. This year, we held the event at Cafeteria 15L, one of Sacramento's best places for good food, good friends and great times! Attendees and Escapees mingled, wet their whistles and dined on a selection of small plates. The sliders, taco bar and roaming appetizers were delicious, especially the Mozzarella Balsamic Basil Crazy Skewers! All conspired to have a good time. Even the weather was beautiful for the outdoor event. 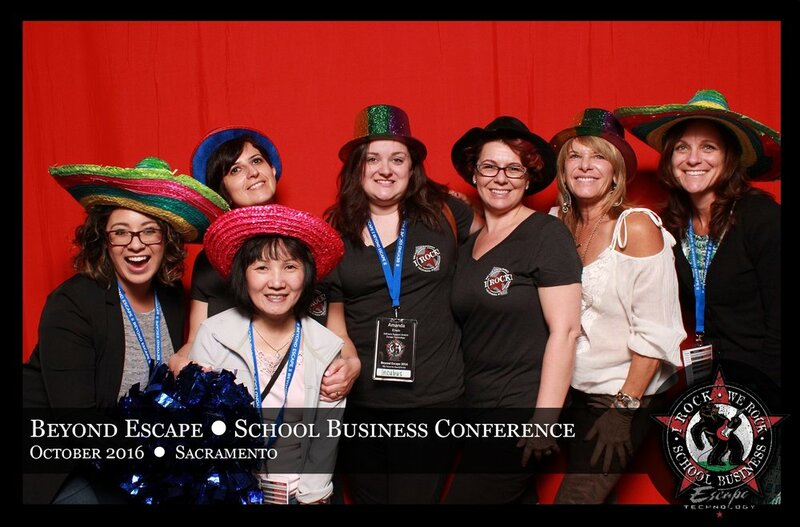 And, the photo booth was the perfect companion for the evening of fun! It is always so satisfying to meet and chat in such a relaxed atmosphere. Old friends reconnected and new friends were made.